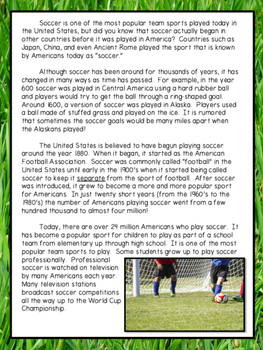 This product features two passages about soccer - one fiction and one nonfiction. 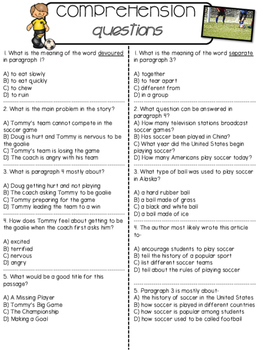 Also included is one page of comprehension questions (5 per story), and four graphic organizers that have interactive parts that students can use to complete the organizers. This product is great review for 2nd-4th grade test preparation - students can practice reading longer passages, comparing fiction to nonfiction texts, answer test-style comprehension questions, and answer open-ended questions using the graphic organizers. File can be printed in full color, but also looks nice printed in black and white. 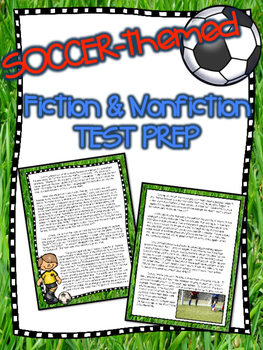 Students will be engaged with the high-interest topic of Soccer and will be able to compare the fiction text about soccer to the nonfiction text. Great for use in a small group, as whole-group review, homework, or as a center.